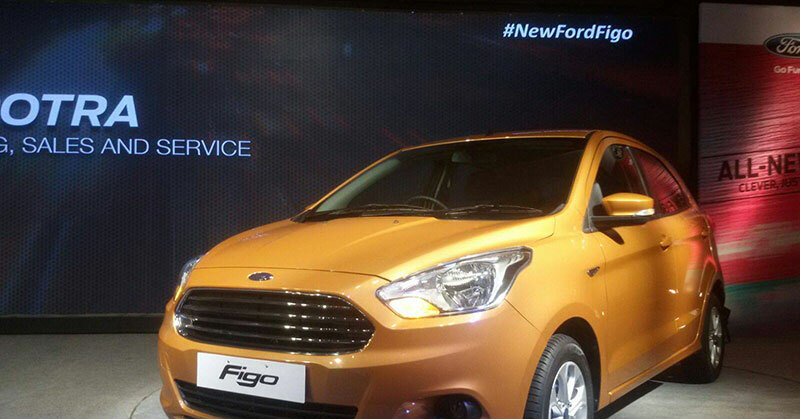 The new generation Figo hatchback has been launched by Ford today. Popular American car maker Ford announced the launch of Ford Figo at an attractive price of Rs 4.29 lakhs for the petrol variant (base) of the car and Rs 5.29 lakhs for the top trim diesel variant of the car. The Ford Figo was first launched in the year 2010, from then, Ford only did a minor changes and released the facelift in 2012. It is important to note that new generation Figo Hatchback shares similar platform as that of Ford Figo Aspire compact Sedan. When talking about the looks, from the front, the new Figo hatchback would look quite similar to the front of newly launched compact sedan Figo Aspire. The car has got similar grille, headlamps and a very identical looking bumpers. The rear of newly launched car is quite unique with flowing tail lamps and smooth crease on the boot lid. The next generation Ford Figo is offered in both petrol as well as Diesel engine variants. The car comes with 1.2-litre petrol engine unit that churns out a power of 70PS and delivers a maximum torque of 102Nm. Ford Figo delivers fuel mileage of 18.16kmpl under test conditions. The 1.5-liter Ford Figo diesel unit is identical to one on its compact sedan sibling. The diesel Ford Figo delivers 90PS power and 204Nm torque and ARAI test results for fuel mileage gets 25.83 kmpl. Both petrol and diesel engines would be mated to a 5-speed manual transmission. The Ford would offer an automatic petrol variant with a 1.5 litre unit which is mated to a 6-speed dual clutch transmission. Talking about the features of new Ford Figo Hatchback, the car offers ABS (Anti-lock braking System) and 6 safety airbags. This is the first time in this segment to get 6 safety airbags in the top-end trim. The top variants of next generation Ford Figo would get more equipment that includes steering mounted controls, parking sensors, USB ports, AUX as Bluetooth connectivity. The car also comes with ORVMs which are electrically adjustable and a flat folding rear seat. Just like the New Figo Aspire, this car would get a ‘plus’ variant that shall sport leather seats, Sync Applink ( voice-command feature) and a multi-function infotainment system. While all versions of new Ford Figo get airbags, the base versions would get only drivers airbag. 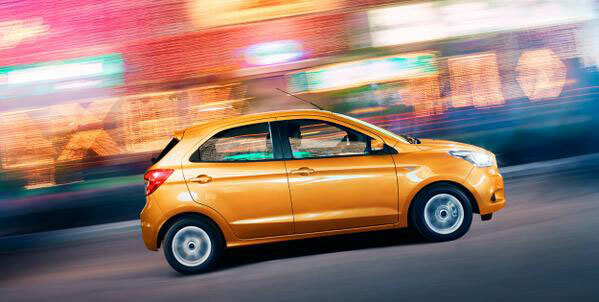 The introduction of new Ford Figo brings tough competition against market dominators like Maruti Suzuki Swift, Hyundai Grand i10, and Tata Bolt.